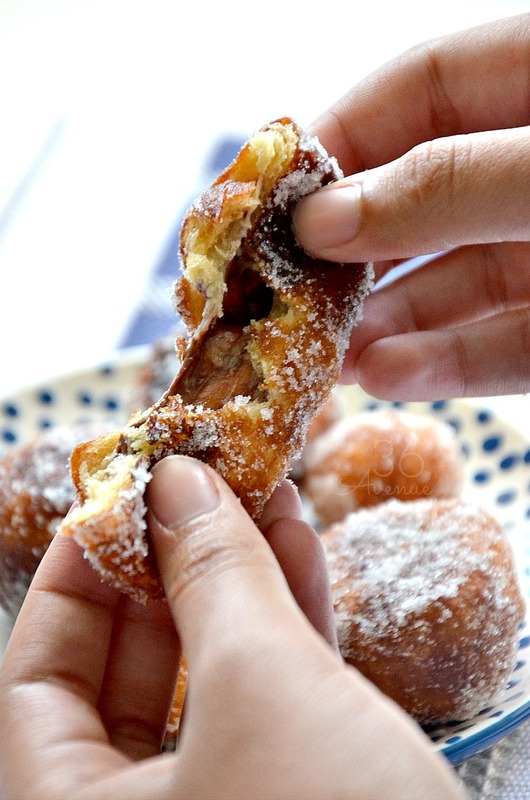 …And this is how amazing and tasty they look inside! Here is one filled with Rolos. 32 pieces of chocolate candy – Rolos, Kisses, and Peanut Butter Cups are perfect for this recipe. 1.Pour sugar into a medium size bowl and put aside. 2. Separate the biscuits and cut them in fourths. 2. Place one piece of chocolate candy in the middle of one forth of a biscuit. 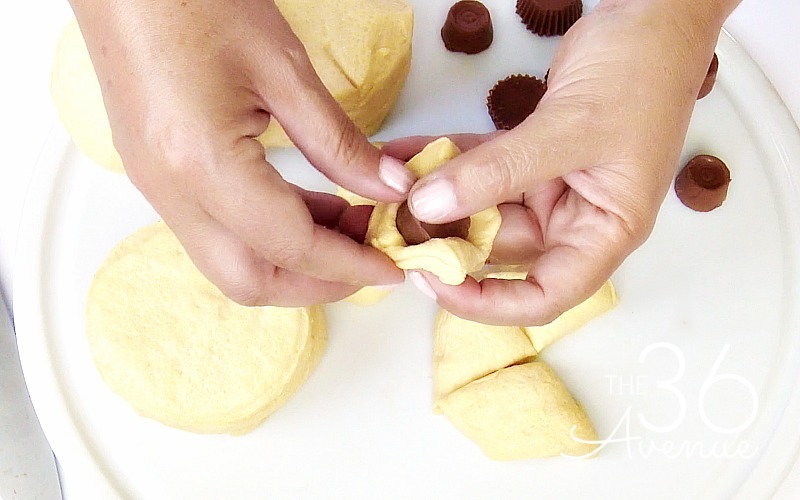 Stretch the dough around the chocolate candy until it is entirely covered. 4. 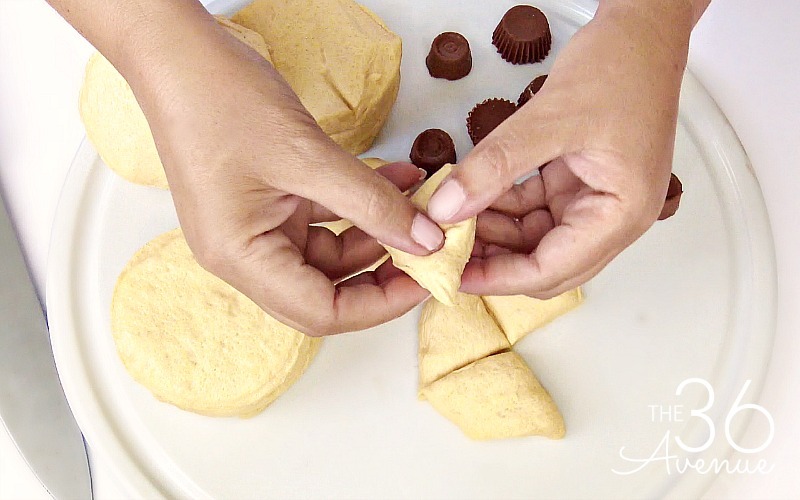 Roll the stuffed dough between your hands to make a ball. Repeat until you use all the dough. 5. 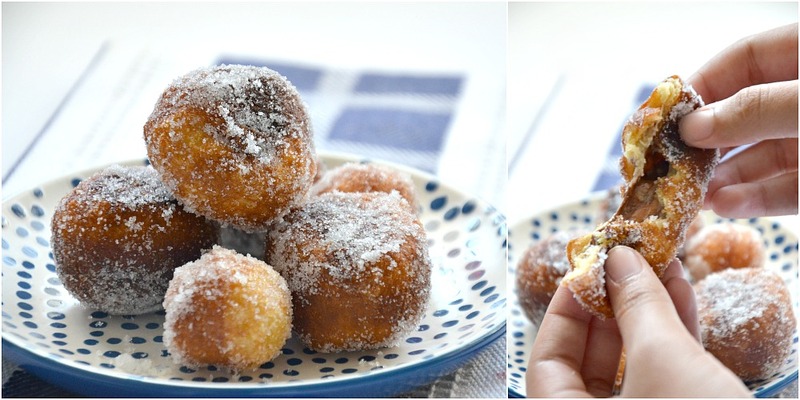 Heat up the oil and place five to six doughnut holes inside. Fry until golden brown and then turn them around to fry the other side. 6. Pull them out of the oil allowing the excess grease to drain. 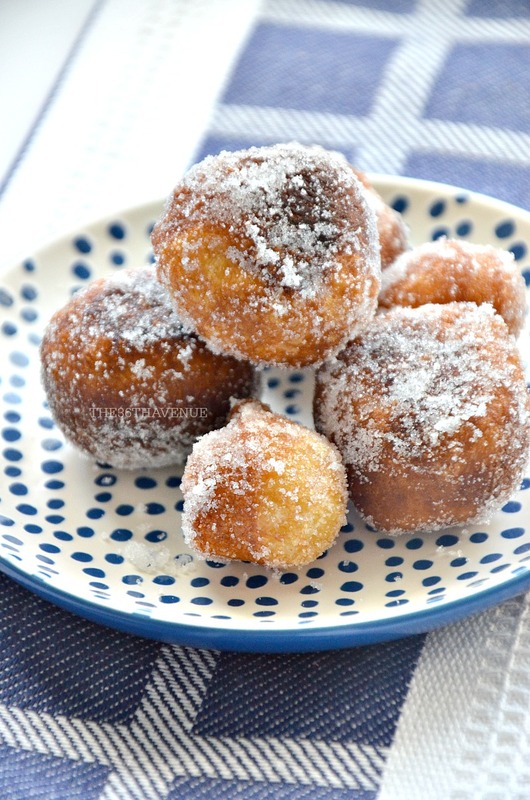 Place inside of the bowl and coat them with sugar. Repeat until you use all the dough! 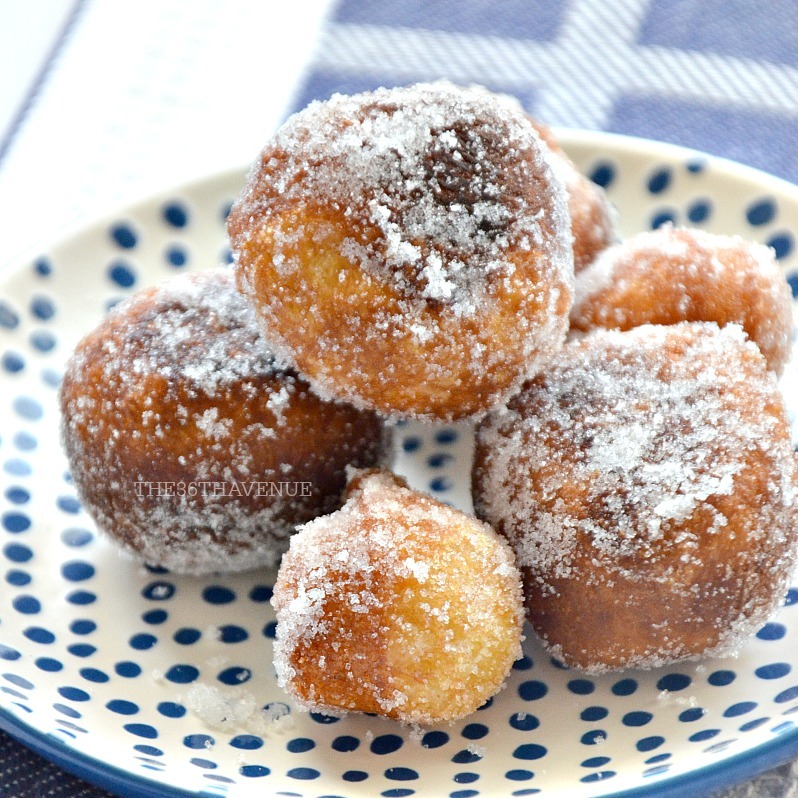 If you want you can also make with this biscuit dough the classic doughnut! Here are some other quick and easy recipes that we love! Well friends… I gotta go BUT let’s hang out together again!